Our on-site, climate-controlled storage facility is the ideal place to securely store your belongings, your documents, your collection of antique decorative plates – anything really. In our warehouse, pending the delivery to your new residence. Held in our trailer or truck (1 or 2 days depending on availability or equipment), pending the delivery to your new residence. When storing for the long term we’ll wrap your goods in storage blankets and carefully place them on your own personalized pallet. And we’re happy to hold your belongings for as long as you need. 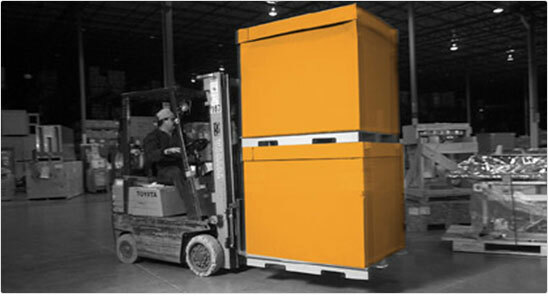 We can provide warehousing for virtually anything, including electronics and document storage. Palletized storage on racking is available, as well as rental of floor space. Give us a call and we’ll customize a package to meet your needs.